MM2 Porta Genova – attenzione il ponte di ferro è attualmente chiuso per lavori. 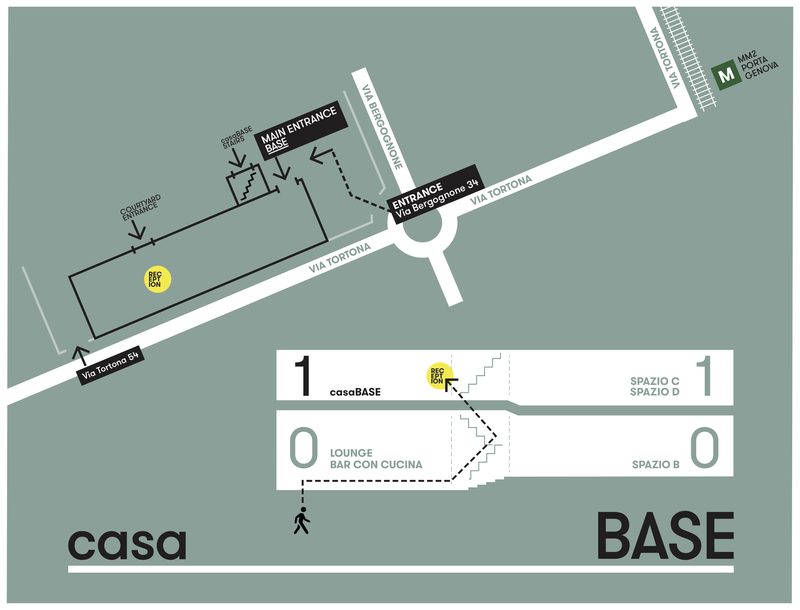 The reception for our artists’ residence, casaBASE, is located on the 1st floor. Come in through the main BASE entrance and follow the signs.